In the era of Google monopoly as a search engine, all the things got viral which are relevant to Google. In this queue new name has been added as a Google Voice Search in which use can search results through his voice not by typing. In this case user speak his inquiry on google voice search and google understand that voice and shows the results for that search. Nearly 20% of search are voice search, in google mobile app according to Google CEO Sundar Pichai. And half of the traffic comes from mobile devices which is increasing day by day. It is a Google Function in which user can get the search results by his voice instead of typing. In that way user speak in front of speaker by opening Google.com. This function can be used both desktop as well as mobile. Google voice Search initial release on 20 May 2002 by Google Lab. After that in 2010 google launch it after an innovation in which user must call a number and then system understand that language. After that user gets result page. In 2012 Google finally launch its Google Voice search for its Google Chrome browser. This has changed the way of searching for user. Now user can speak their query and google voice search understand that search term and gives the results to user. Now it had been used for Google maps also and after that google make it used in other products also. Voice search is a helping hand not a substitute of Text Search in the way of getting search results from Google. The main difference between both is the search accuracy. Because in text-based search user type the search query and gets the search results. But in other hand in Voice search user speak the query and system guess the query and on the basis he gest results. So, in text-based user gets the more relevant results but in voice search he can also get the irrelevant results. In text based google also suggest the user relevant mostly search query and user can gets the most reliable results but in Voice Search he has No Option. Expert says that up to 2020, Image and Voice Search will contribute at-least half of total searches. Google Voice Search can change the life of illiterate and physically challenged people who can’t write do to their illiterately or physical challenged issue with. They can speak in front of phone and can get the relevant information they are needed. Voice Search is being popular between these people and changing their way of getting information. There is no other SEO technique for Voice search. If you are doing best SEO practices, then it is best. But some points need to be consider while optimizing your site for voice search. You should think about micro moment about the user while preparing content for your website. What user can ask about what you are writing. Data says that 65% user compare present product with past. So, add these types of words in your content. Another high search term is related to FAQ. You should add some points that give user direct information and call to action. Google recently changes in their algorithm and start preference to longtail keywords. So, use longtail keyword in your content. It is best for your all SEO. Large number of query related to voice search are local. User wants to get best information near their location he is. So, use of near me, best is more in voice search. Google launch a Hummingbird Update in 2013 for respond the voice search queries. In that Google clearly mentioned that it will understand the search query and will respond the best answer. Major voice search is done in local languages. So, prepare your content according to local language that can fulfill the requirements of user. Your website speed is majorly affect the Google search results. How much fast your speed will be you will perform better. 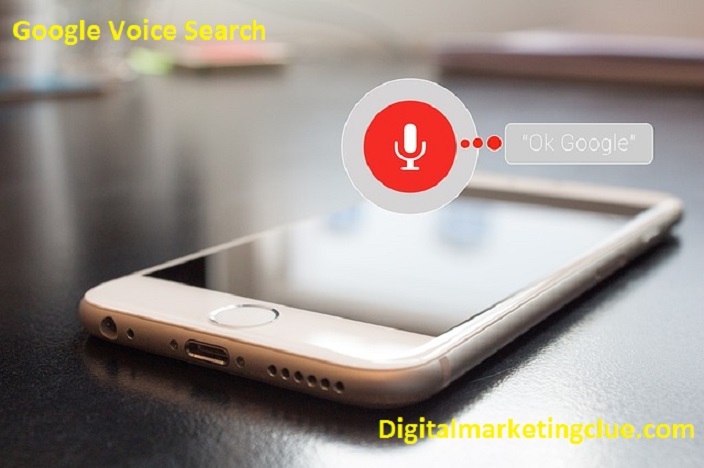 After having more discussion on Voice Search we can say that it will be a new era of information technology where one can get all the relevant information by just speaking their query. India has vast opportunities in voice search and their local languages. Google has understood this opportunity and added 8 local Indian languages in their voice search program. Expert says that it will increase by 18% growth rate up 2021. So, to capture this gold opportunity you must need a digital marketing agency which can update you and your website according to changes are coming in search industry. Digital Marketing Clue is one of the best digital marketing company in India which provides the best digital marketing services to their client. We make a digital ecosystem for your business where you can survive with your requirements. I just wanted to let you all know that you can do your digital marketing services by your own. Google voice search will be the next affecting parameter in SEO in next years. Google Voice Search will play a significant role in next future result. Content is a king but Google follow some of the parameter also.